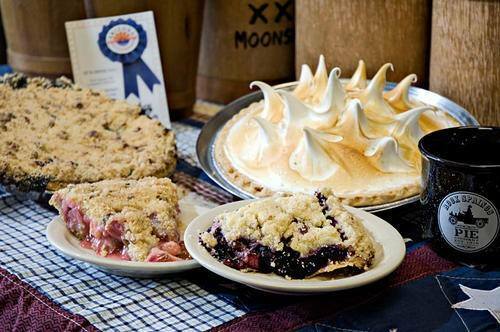 An Arizona restaurant famous for its dozens of mouthwatering pies celebrated 100 years in business last month. According to its owner, Rock Springs Café, north of Phoenix in Black Canyon City, is the longest-operating restaurant in Arizona, The Arizona Republic reported. Over the years, it's become a popular stop for those who want to pick up a pie on the way from Flagstaff to Phoenix on Interstate 17. The café's founder, Ben Warner, arrived at the site in 1918, The Republic reported, and opened a general store there. By 1930, the operation had expanded to a hotel and restaurant. Rock Springs Café's owner told the newspaper that the restaurant sells about 100,000 pies every year — including more than 10,000 in the week before Thanksgiving. The restaurant is planning an expansion next year, adding a dedicated pie shop that's separate from the main building. © Copyright 2019 Arizona Department of Transportation, State of Arizona. Reproduction in part or whole without written permission from the publisher is prohibited. The images on this website are copyrighted. Copying and downloading images from this site are strictly prohibited. All rights reserved.